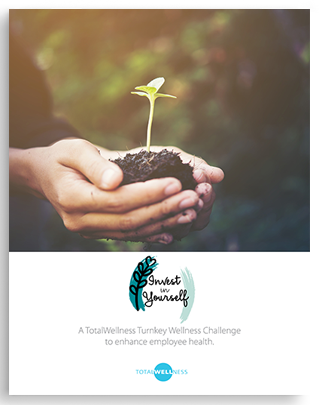 Want to Help Your Employees Be Healthier & Happier? your options, you'll find some awesome resources. This is a 30-day challenge that focuses on doing one easy, doable healthy behavior per day. We created the Water You Waiting For? 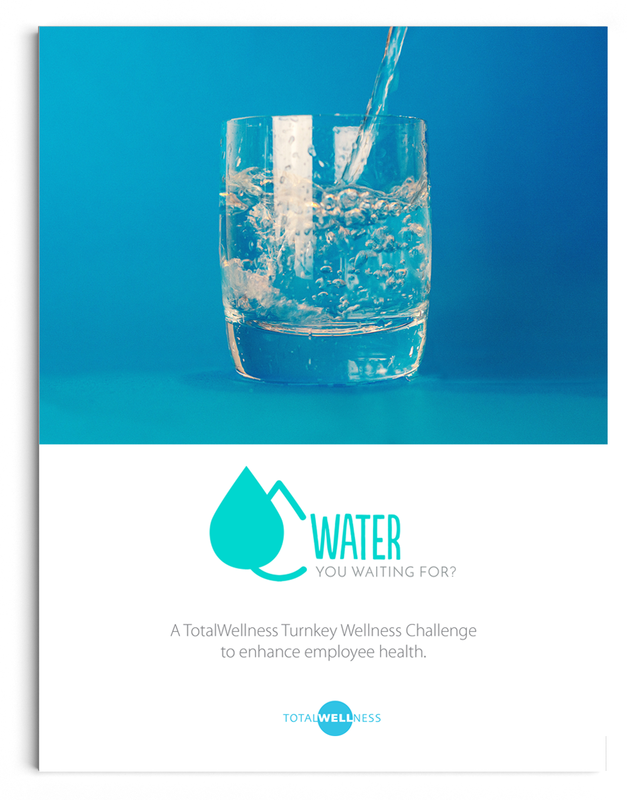 Challenge to make staying hydrated a bit easier for your employees. 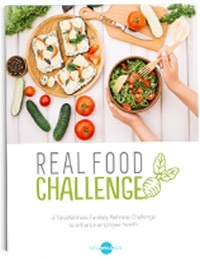 This fun, simple challenge helps employees understand the importance of choosing real food. 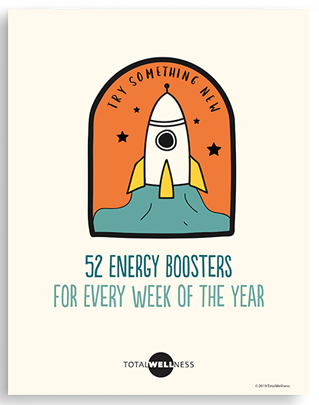 If you’re tired of energy drinks or running on fumes, consider our list of 52 energy boosters as your next go-to strategy. 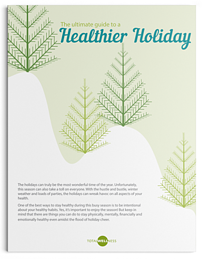 This insightful guide gives you tips to stay healthy during the stressful holiday season. 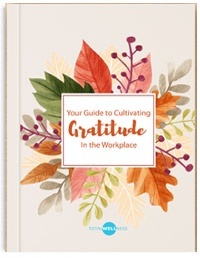 While you may think gratitude is a soft, fluffy feel-good topic, it can have a huge impact on your company. 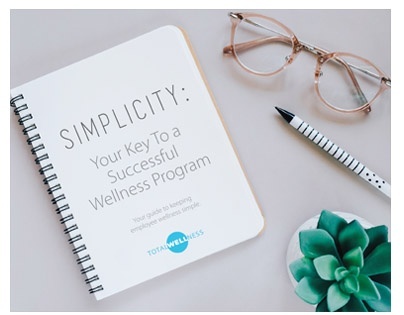 We’re here to help you take the hassle out of building a successful wellness program. By keeping things simple, you’ll be able to focus better. 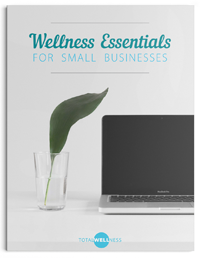 We share the absolute essentials for getting a wellness program started where you work. 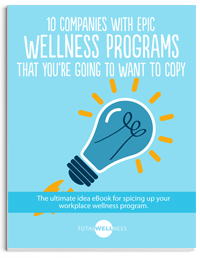 We created the ultimate idea eBook to help you spice up your workplace wellness program. 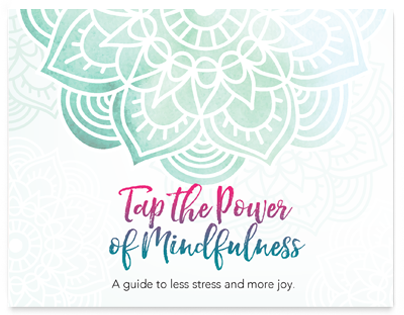 Learn how mindfulness techniques can help you reduce stress and create more joy in your life. 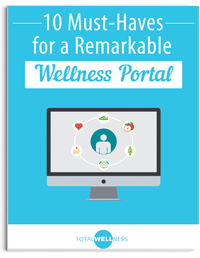 Discover the essential features your wellness portal should offer and why they are an important part of your wellness program. Wondering what the heck a biometric screening is? 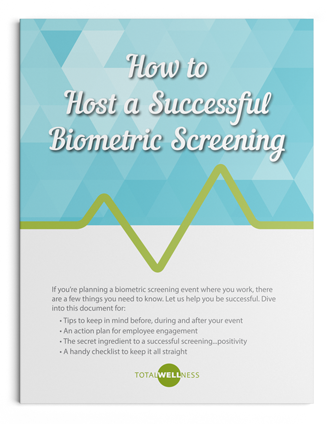 Learn the basics of biometric screenings for your employees from beginning to end. 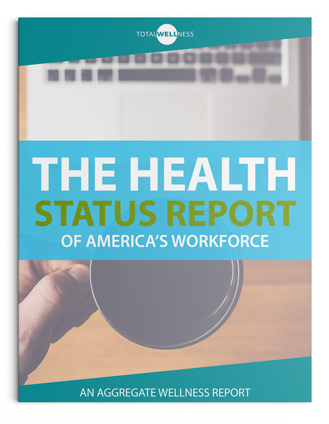 This insightful aggregate report looks at the health of over 85,000 employees with data from screenings that TotalWellness conducted in 2015. Let us help you be successful! 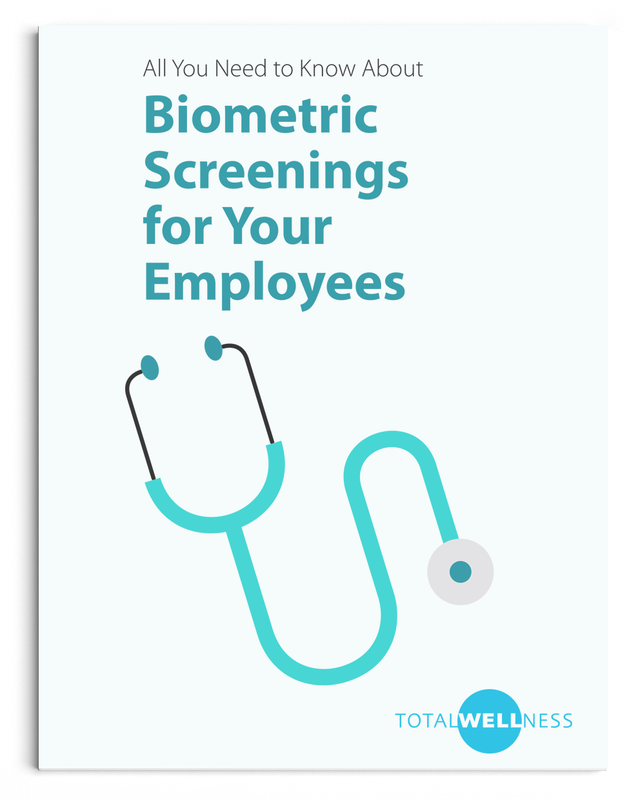 Get tips to keep in mind before, during and after your employee biometric screenings. 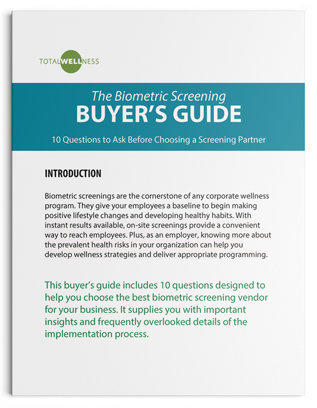 Discover what kinds of questions to ask your potential biometric screening vendor. 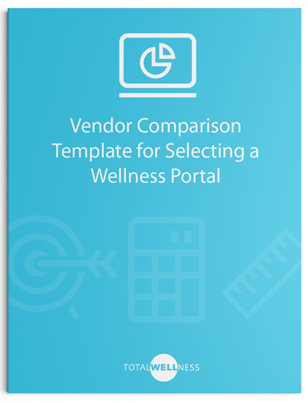 This Excel template can be used to quickly evaluate wellness portal vendors. 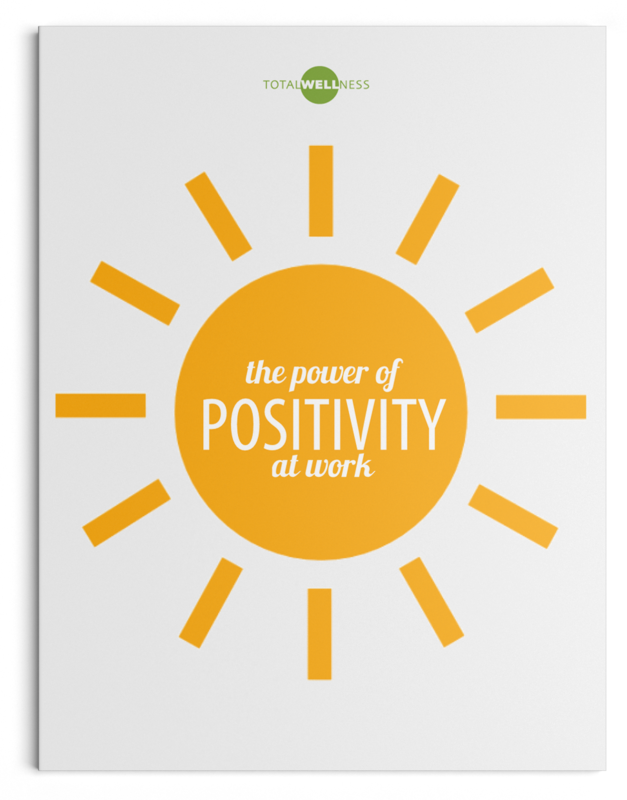 Find out the well-researched reasons why optimism in the office is better for business. 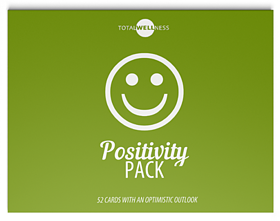 Looking for some inspiration to help motivate your team? Look no further. We've found some of the most inspiring quotes. 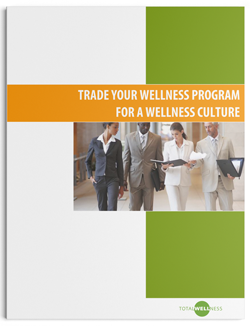 Learn how to create a healthy, supportive environment for your employees. 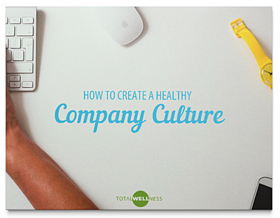 We've complied the top seven ways you can create a healthier company culture where you work. 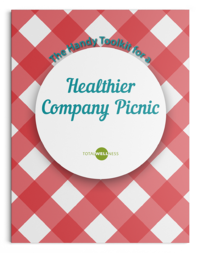 Make your company picnic or summer event healthier and fun with this toolkit. 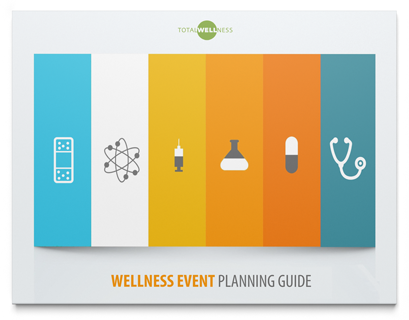 Learn how to plan, promote and execute a wellness event for your employees. 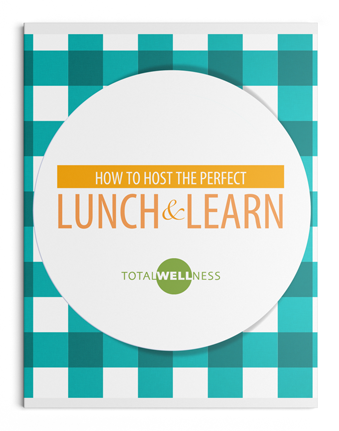 Get practical and simple lunch and learn ideas to host the perfect event. 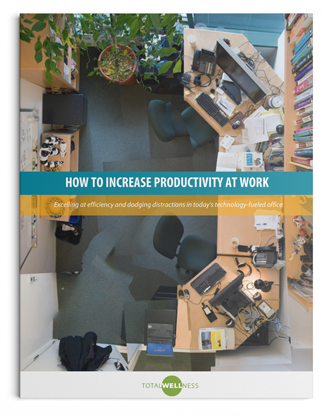 This actionable guide gives you tips on how to boost your productivity in the office. 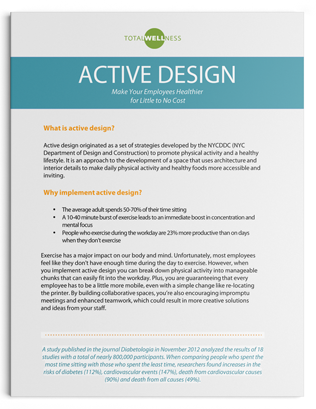 Learn about the theory of active design and find out how to implement it in your workplace. 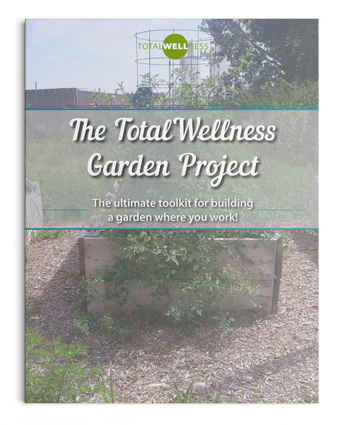 We complied our top tips that we learned from starting our own worksite garden. 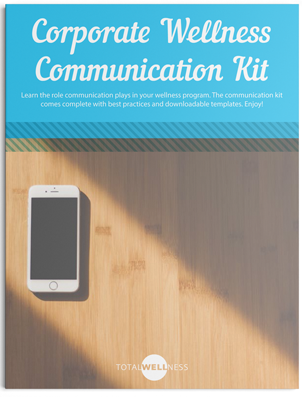 We’ve put together a comprehensive toolkit filled with great wellness communication resources. 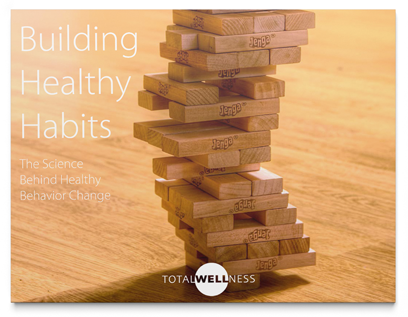 We share the latest research about behavior change and how you can leverage these findings to create healthier employees. 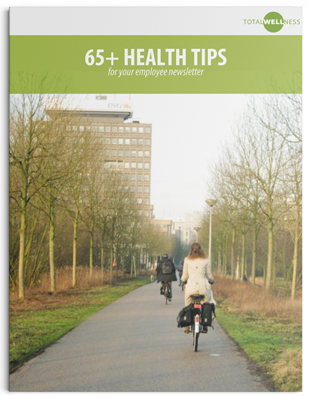 Add these health tips to your monthly communications and help inspire, encourage and motivate your team. 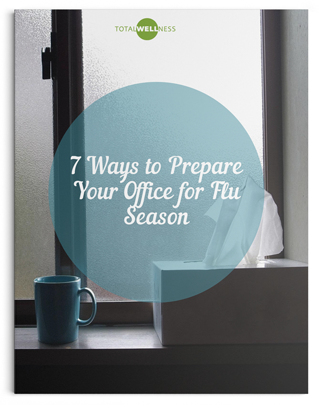 7 Ways to Prepare Your Office for Flu Season Prepare and protect your employees during flu season with these seven tips. 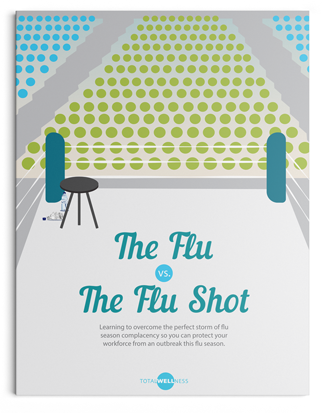 Explore the facts and common misconceptions about the flu and flu shot. 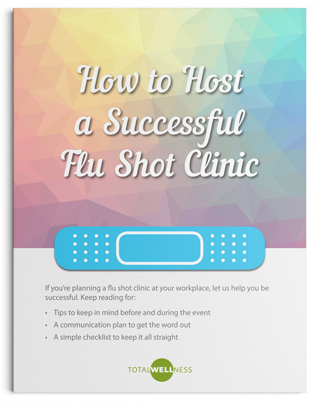 A complete guide to help you prepare for your employee flu shot clinic. 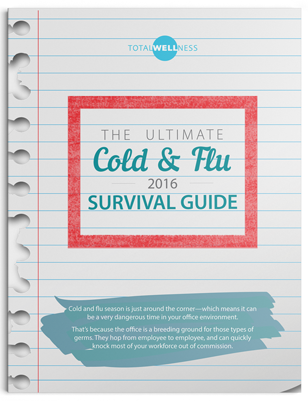 We've put together 10 educational fliers that you can share with employees. 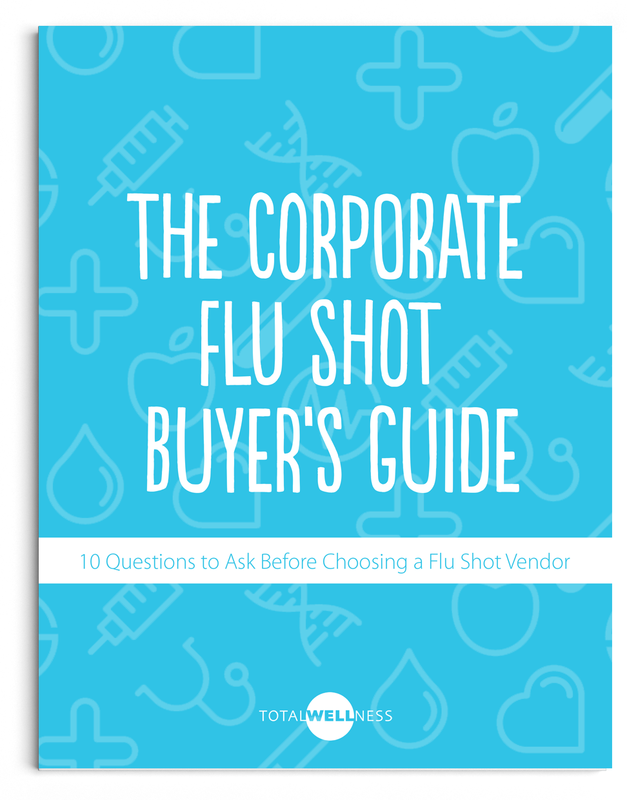 This guide will cover everything you need to know in order to pick the right flu shot vendor. 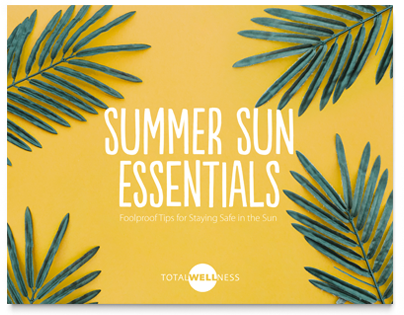 © 2018 TotalWellness. All Rights Reserved.